Do you want to play more Call of Duty? I'm guessing the answer is yes, and by all means, Black Ops is worth playing. But for all its ambitious steps to set itself apart from the previous games, it flounders in a few too many of those areas to be a total success. Even with those flaws, though, the heart of the series--its competitive multiplayer--lives on quite well, which should be enough to satisfy most fans of the franchise. 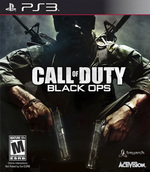 The overall scope of the Black Ops package overwhelmingly puts this game into the category of a must buy. With its top-notch production values and addictive multiplayer system, this package offers all gamers an amazing amount of content to get absorbed into. The Treyarch team can now put the past behind them, as they have successfully delivered a superb and finely-tuned game that raises the bar with the enormous amount of personalization that can be found in the online portion, and the solid variety of gameplay modes. 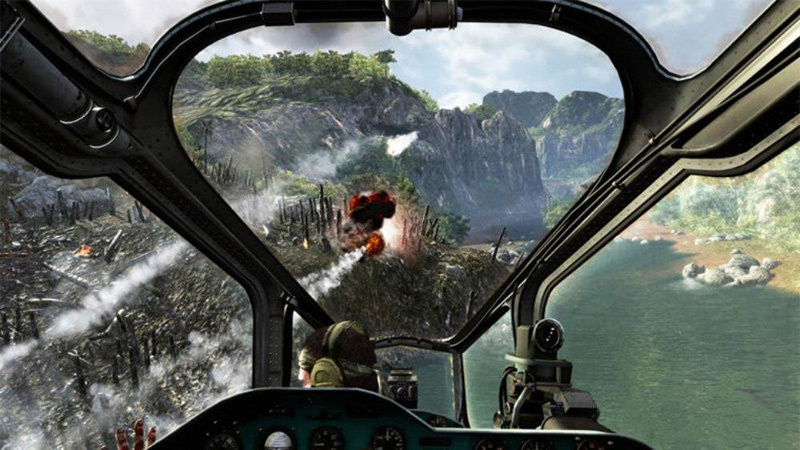 Black Ops plays out over 15 missions that take you from an assault on a stronghold in Cuba through Vietnamese towns and jungles and even a quick soiree in the Pentagon. Each level feels significantly different to the last which ensures a fresh area to conduct mass murder as you progress. The mode is terrific fun and there are a host of goodies to find that we’ll let you discover for yourself. Needless to say, you won’t be disappointed. In conclusion, while overly familiar and not without its annoying niggles, Call of Duty: Black Ops offers a compelling package of intense multiplayer action and a gripping single-player campaign that will ensure fans have plenty to do until next year's iteration. A force d'obstination, Treyarch nous livre probablement avec Black Ops son meilleur Call of Duty à ce jour - mais sans doute pas le meilleur volet de la série. Dotée d'un scénario travaillé, à défaut d'être très bien raconté, la campagne solo reprend tous les codes de Modern Warfare, parfois avec maladresse, mais elle se laisse jouer, le temps d'une grosse demi-douzaine d'heures remplies de décors et de situations plutôt variées dans l'ensemble. On pestera, une nouvelle fois, sur cette durée de vie bien courte, mais le développeur a importé une grosse partie de son savoir-faire de World at War pour le multi et nul doute que les amateurs se régaleront, une nouvelle fois, notamment en ligne. Call of Duty: Black Ops conseguiu elevar ainda mais a qualidade de toda a série. 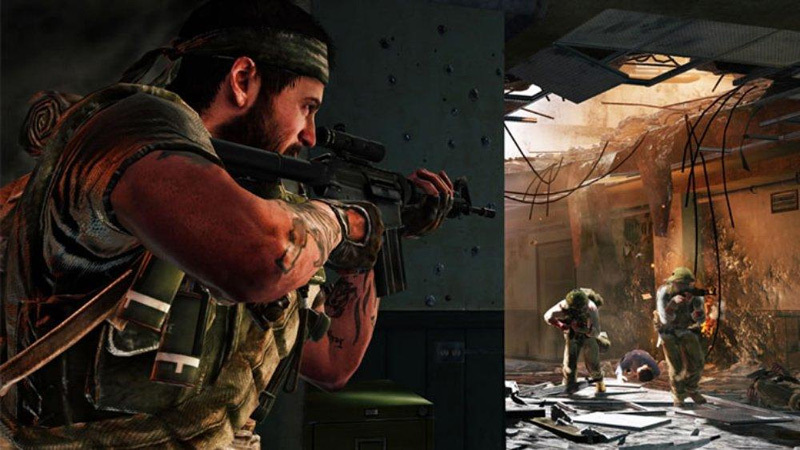 A Treyarch conseguiu recolher com sucesso o bom dos dois jogos da série, misturando Modern Warfare com o que fazem de melhor. A campanha é muito interessante e embora a história não seja coisa de outro mundo, cumpre muito bem com o seu papel. Extremamente divertido, desafiante e com momentos de arregalar os olhos. Após este jogo, fica no ar qual será o futuro da série. 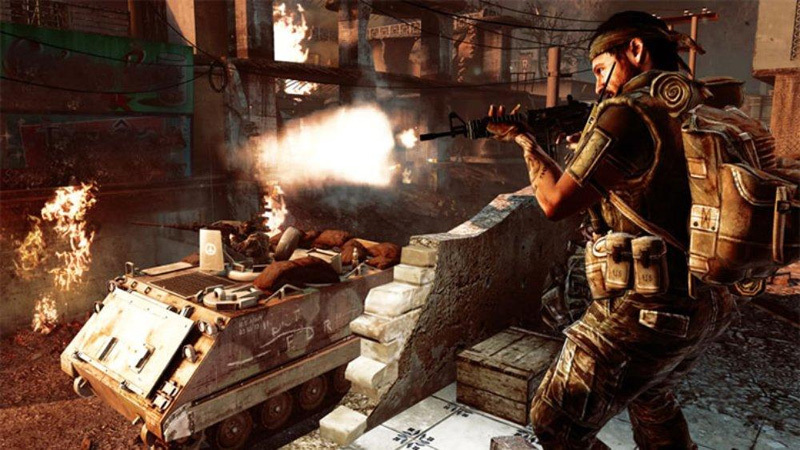 Black Ops, quindi, non è il gioco ideale per chi è alla ricerca di un single player ineccepibile e carico di emozioni, ma è il nuovo punto di riferimento sul fronte del multiplayer. Le modalità inedite sono basate su idee interessanti e ottimamente realizzate, e basteranno da sole per spingere gli appassionati di FPS a non giocare altro per diversi mesi. 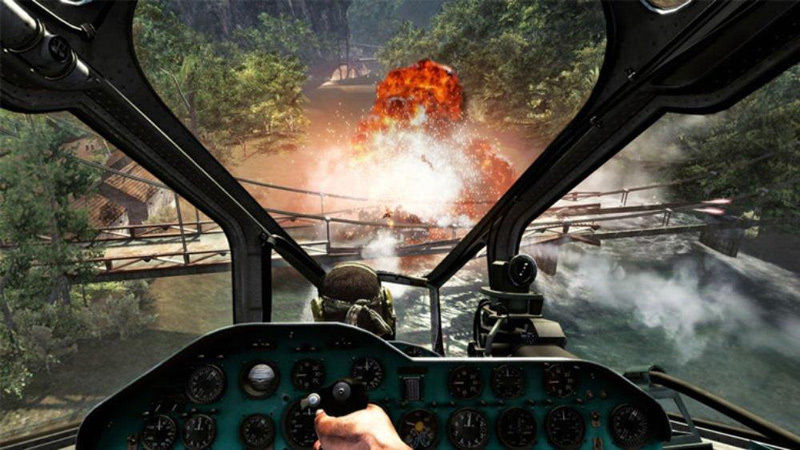 Al met al is Call of Duty: Black Ops een achtbaanrit waar je graag nog een keer instapt. De singleplayer weet te imponeren met een erg sterk, maar kort, verhaal en veel spektakel. De singleplayer laat helaas ook nog een paar steekjes vallen in de afwerking en op grafisch gebied. De multiplayer is erg veranderd. Je kunt een hele hoop aanpassen met COD Points en je kunt hiermee gokken in Wager Matches. Allemaal geslaagde verbeteringen die we wellicht in volgende delen ook weer terug mogen zien. Jammer genoeg is het nog steeds ieder voor zich en wordt campen beloond. Så är Black Ops för bra för att vara sant? 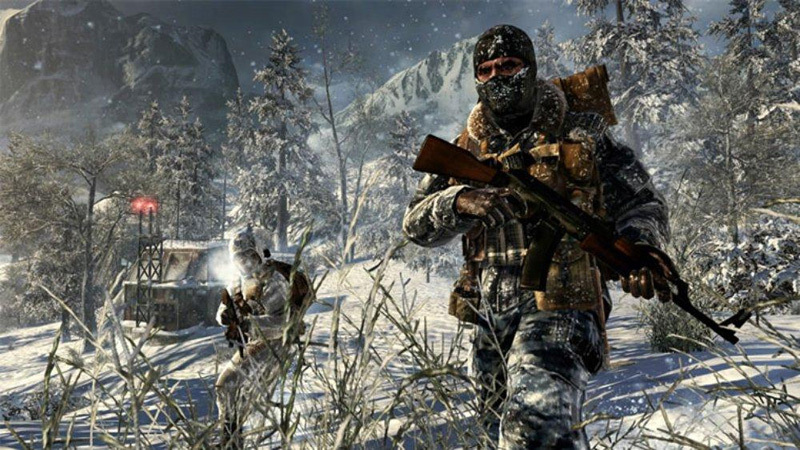 Treyarch har definitivt tagit i från tårna den här gången och det märks att de haft helt andra resurser i utvecklingen av Black Ops än för låt säga World at War. Det här spelet innehåller allt vi gillade med föregångarna, men tar varje beståndsdel till nästa nivå och överträffar Infinity Wards Modern Warfare-följetong tack vare en smartare berättad story, längre äventyr och ett polerat multiplayer-läge. Mästerligt, Treyarch.